I've already posted about the Touche Éclat pen (including how we have all been using it wrongly, yes, that's 21 years of using it incorrectly, all cleared up in one evening), so this post is just about the Spring Look 2014 collection. 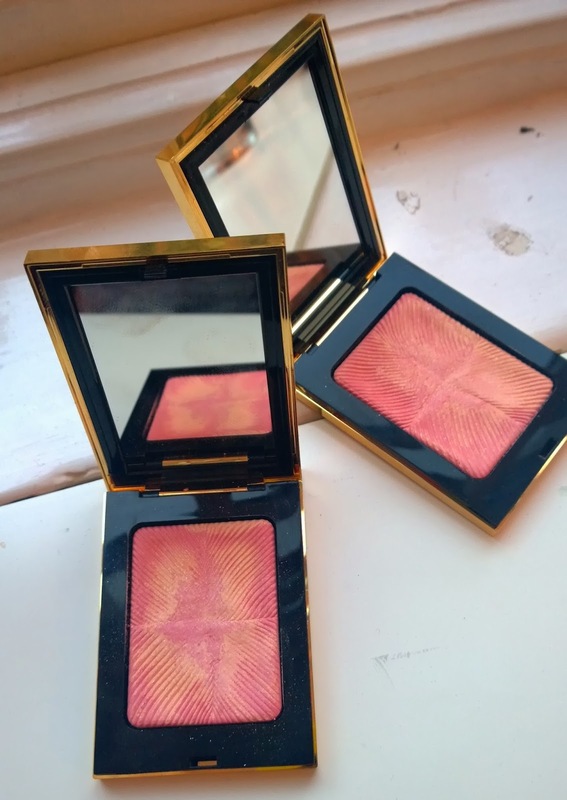 M Letailleur suggsted an alternative method of application for this blush. Nodding towards all things 80's, this was applied almost like a contour, but instead of applying in a hard line up along the cheekbones, it was applied in downward strokes along the cheekbones with a fluffy blusher brush. 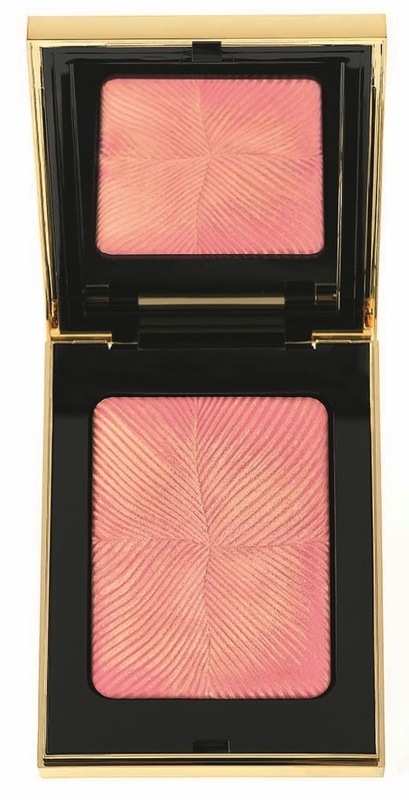 It gave a similar shape as the 80's blush we all know, but with less of a hard look. 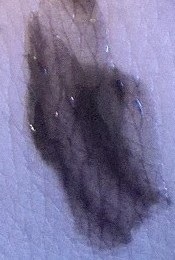 - this is a gorgeous shade, appearing slightly bluer in direct light and slightly more purple in dimmer light. I love this - look out for a review post on this sometime soon. At €31 this is at the higher end of what I'm willing to pay for in a mascara, but then again, I know I already have a huge grá for this mascara, so I'm not purchasing blind. There's also an indigo waterproof liner, Dessin du Regard #11 Intense Purple available for €21 if you feel like being matchy-matchy (the liner is much lighter but in the same shade family). This collection has just launched and is available on-counter now. Look here for more information.